There is no agreement about either the birth year or birth place for Chen Tuan. 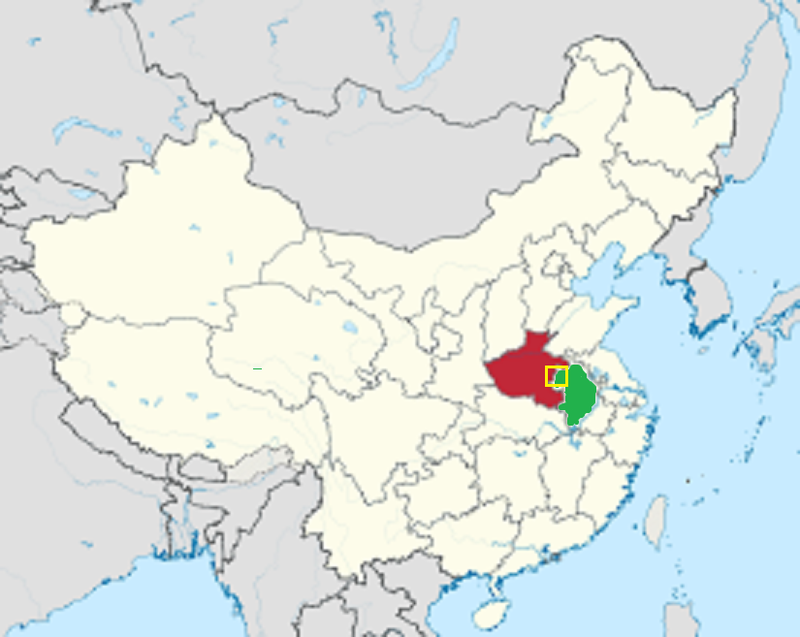 I have seen claims of Luyi County now in Henan province (red region on the map) as well as Haozhou in Hao County of Anhui Province (green region on the map) so probably some where in the yellow rectangle. After the Tang Dynasty (started in 618) crumbled in 907 there was a period of considerable political and military chaos known as the Five Dynasties and Ten Kingdoms. The Northern Song dynasty was established in 960 and went on to forcefully reunify China for the next 20 years. Chen Tuan is described as having died in 989, but is said to have traveled for some years after failing the scholar’s examination, then lived for about 20 years at Wudang Mountain and later as a hermit in Huashan at the First Year of Xiande Period of Later Zhou Dynast (951- 960). 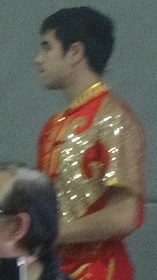 This would seem to indicate a birth year of 910. One legend is that the tai chi ruler was invented by Chen Tuan, later named Chen Hsi-I, who was a famous Taoist and retainer of the first emperor of the Sung Dynasty. 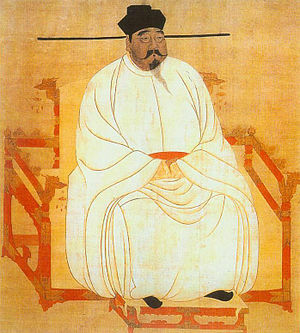 I interpret this to mean the first emperor of the Northern Sung Dynasty (960 – 1127) who was Taizu (太祖 Tàizǔ was his temple name – portrait below). During this period Emperors usually did not have posthumous names, but had birth names (his was 趙匡胤 Zhào Kuāngyìn) and one or more era names: his were 建隆 Jiànlóng (960–963); 乾德 Qiándé (963–968) and 開寶 Kāibǎo (968–976). The Northern Sung were attacked by their Jin allies in 1127, lost their capital at Kaifeng and a great deal of territory, and had to relocate. The Southern Song established a new capital at Nanjing, and a peace of sorts was eventually established with the Jin. However, the Jin empire was conquered by the Mongols in 1234 with assistance from the Southern Song Dynasty. Disagreements between the Southern Song and the Mongols were resolved by the Mongols by 1279. FlyerCP detailing the recommended curriculum for students with cerebral palsy. It will download as a PDF file. Recommended that you print in portrait (8.5″ wide x 11″high) and in color. BrochureCP detailing the recommended curriculum for students with cerebral palsy. It will download as a PDF file. Recommended that you print in landscape (11″ wide by 8.5″ high) and in color. 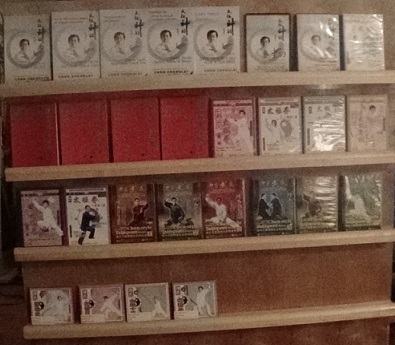 We still will do daily classes with sitting, standing and warmups, but we will introduce tai chi ruler (to see a web page about it click here) and tai chi bang (to see a web page about this click here) exercises. Then add a break, followed by 18 movements and Lao Jia. Another break. Then maces and saber. 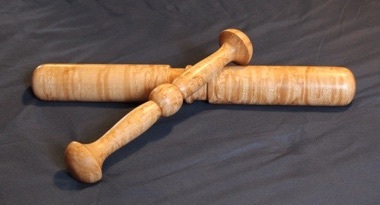 As the class progresses we will add sword, staff and spear. 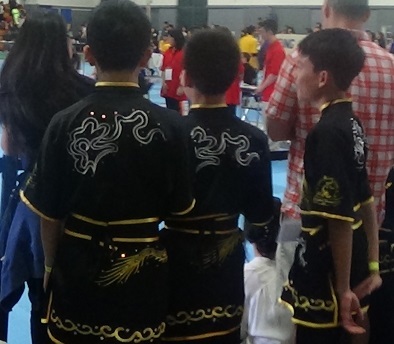 Instead of adding Xin Jia after Lao Jia, we will teach silk reeling exercises. 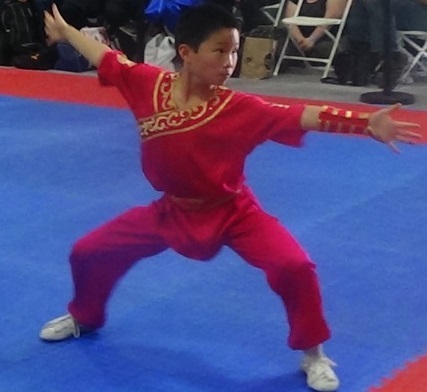 Same grading, same course requirements except for the Xin Jia / Silk Reeling switch. always quite an eye-catcher – as was intended. After snapping two (2) titanium drill bits drilling into the maple “wood” it was eventually possible to finish the shelves. Maybe for bird’s eye maple this aggravation is worth it. Finding the eight needed thin caps shown in the top photo is not easy. TAP Plastic had something similar but only in red, which seemed very distracting. The actual original maker, CA Plugs of Buffalo NY, sells in bags of 200. More than I will likely ever need. 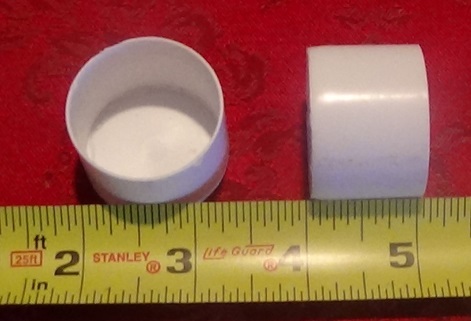 So I stayed with normal 1″ PVC caps (bottom photo), as well as two standard 1/2″ caps for the horizontal crosspiece. The idea is to keep the four legs, especially the bottoms, from chipping and cracking. 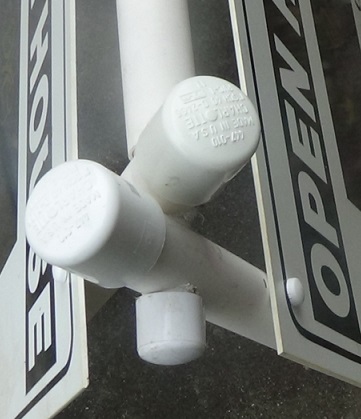 It is conjectured that sunlight will cause visible damage to the tops of the pipes, so the caps are really more pragmatic than professional looking. You may prefer to bevel the legs and ignore the caps on the top. Besides the holes through the tops of the pipes of each leg – take care to measure the OUTSIDE diameter of the nominal 1/2″ horizontal crosspiece – you will need to drill 4 holes in each “sheet” and match them with the legs. Easiest is to clamp the sheets to the legs. Then either a bolt through the holes with a plastic washer on the outside (white works well) or paint a washer white and use a bolt cover. You will want some sort of plastic or lacquer coat on the sheets.